The widow of TV pioneer Reg Grundy, who created Neighbours, Wheel of Fortune and Sons and Daughters, has failed in a bid to have a dispute about her husband’s will heard under a suppression order. 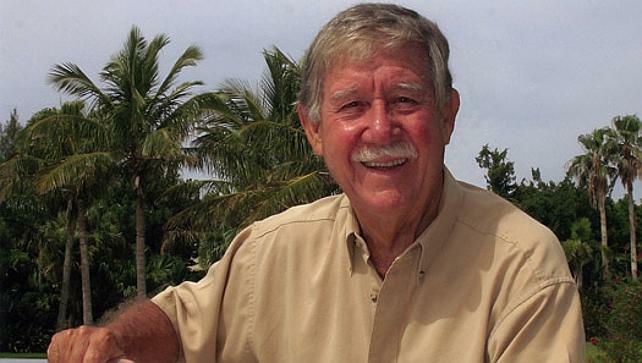 In May 2016 the iconic Australian television producer passed away at the age of 92, leaving his $715 million fortune, including his property in Bermuda, to his wife. Reg Grundy’s daughter, Viola La Valette, from his first, short-lived marriage to Lola Powell, recently emerged to challenge his will and make a multi-million-dollar claim on her late father’s immense estate. But Justice Geoff Lindsay’s judgment, released on Thursday, stated that “the public interest in open justice was not sufficiently outweighed by these concerns. The Financial Review also estimated “the Bermuda-domiciled Grundy’s wealth as being $809 million, a figure largely stemming from the $320 million sale of Grundy’s company to Pearson Television in 1995. “The figure is disputed by Chambers-Grundy who argues the estate had a net value of “not less than about $214 million”. Before his death, Mr. Grundy often ventured out of his Idolwood Lagoon Estate to photograph Bermuda longtails, which have been displayed at L.F. Wade International Airport and the Commissioner’s House in Dockyard. He and his wife moved to Bermuda in the early 1980s and Ms. Grundy is reported to continue to live in the couple’s Bermuda mansion.